I had a mini fantasy baseball catastrophe today. Forgot to start Miguel Cabrera (he of two home runs). Bummer. But I’ve been watching the Giants lose and drop to 0-2, so I feel better. Today is all about Season Ticket! If you don’t already like the Facebook page, get on it! If you don’t already follow us on Twitter, get on it! If you haven’t checked out our video plea to Ellen DeGeneres…GET ON IT! We’re about three weeks away from starting this epic adventure and could use all the support we can get. The name of the project is Season Ticket: The Ultimate Baseball Project – 30 Parks, 1 Summer. We are road tripping across the United States starting at the end of this month in the home of the defending champion St. Louis Cardinals, and ending in the new Miami Marlins’ stadium just before October. Along the way, we’ll see one game at every stadium, all the while blogging, podcasting, vlogging, Tweeting and Facebooking our adventures. But this isn’t just a glorified summer vacation. My girlfriend and travel partner, Kelsey Shea and I are both serious writers trying to get our work out there. Still, that’s not enough is it? That’s why our ultimate goal with the trip is to determine the best baseball experience in America! Is it better to catch a game in San Francisco or Los Angeles? Detroit or Chicago? New York or Boston? That is exactly what we are out to determine. We want people to follow the journey, get involved (we’ll be posting trivia questions and such along the way to keep everyone interested! ), and help vote their city and team to the top of the rankings! This is a project that has no competition; we’re the only people doing it. We just need a little financial help. We’re doing a side project with BleacherReport.com, hopefully making revenue off our YouTube channel (subscribe, please!!! ), and using some of our own funds. But we still need more. So reach out to any baseball-happy, charity-friendly people you know and tell them about our project. We have three weeks to make a little moola to assure this dream trip happens! We have an IndieGoGo account if you’re feeling extra generous. Baseball all summer? In person? Yes please. If you haven’t heard yet, I’ve got my next big project lined up. All that’s missing from getting it not only off the ground, but blasted into the next stratosphere, is a sponsor with financial assistance. I’ve got the itinerary, the plans, the website, the campaign and the lovely travel partner. But now I play the incredibly stressful, painful waiting game. I have word (okay, words…email, Twitter, voicemail…whatever I can do) out to no less than 30 potential sponsors or partners. Included are BleacherReport.com, my former employer and site I still write for, who has a contract drawn up for us right now, and Clif Bar, who sent me a nice box of free bars for my efforts. I got a teaser email from Ford (yeah, THAT Ford) today about passing my information along, but we’ll wait and see if anything comes of that. And if you haven’t already seen our video plea to Ellen DeGeneres, check it out. Especially if you’re in need of a good laugh or maybe an ooh or ahh. Anyway, this project is called Season Ticket: The Ultimate Baseball Project – 30 Parks, 1 Summer. What is it? Glad you asked. Two of America’s craziest baseball fans (we met in the MLB Fan Cave contest) are going to road trip the country for five months and visit each MLB stadium to catch a game at each. Obviously, this is a dream trip, but it’s all business. 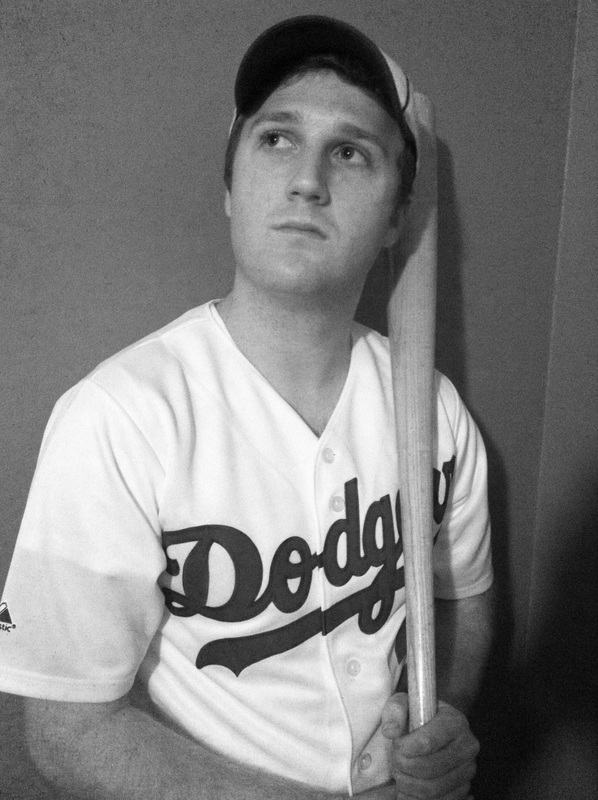 We are trying to further our respective careers as serious writers and whip the baseball fan base into a frenzy. We want to discover the best baseball experience in America by rating each team’s city, fans, stadium and game experience, among other factors. We literally have everything in place except for sponsorship so we can afford gas. I even put word out to every MLB team about potential player interviews, press passes and more. I’m dead serious about this project. So please…spread the word! Officially introducing: Season Ticket! Visit the site, follow the blog, like the Facebook page, follow us on Twitter @_SeasonTicket_ , @KelseyShea11 or @Jamblinman , and take a peek at our IndieGoGo account! The best thing you can do to help, if so inclined, is to spam the crap out of Ellen’s Facebook pages and her Twitter until she has no choice but to bring us on the show and help us with funding! First of all, let me just say Rest in Peace Gary Carter. The reason for me not blogging about that tragedy and enormous loss for the baseball world, is two-fold. First, I don’t have the stones to properly celebrate such an individual. Second, I am a little too young to really have experienced the impact Carter had on the game first-hand. So, I’m going to do a remembrance of someone I did grow up watching. The one and only, Mike Cameron. 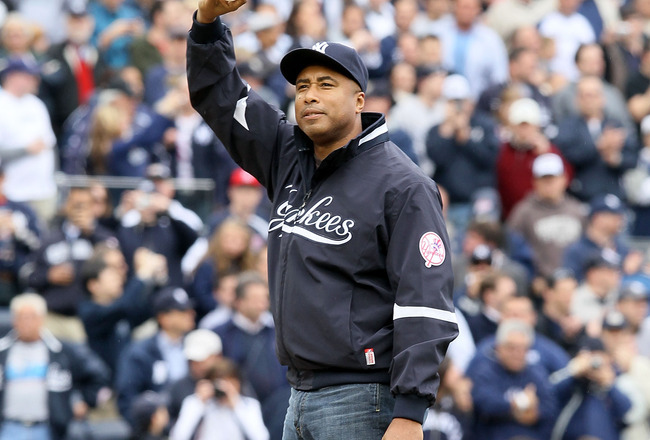 He played for eight different teams in almost 2,000 big league games. And he’s one of the most underappreciated players of our era. The reason I say that is because his 162-game average includes 88 runs, 23 home runs, 80 RBI and 25 stolen bases. That’s not just good…it’s exceptional. To maintain that much production over 17 seasons is no small task. I’m not saying he’s a Hall-of-Famer or anything, but to put up those numbers so consistently, while also playing great defense in center field is absolutely worthy of being a People’s HOF’er. I’m not exactly sure what the People’s HOF is, but let’s just consider it my list of players who won’t be in, but deserve recognition (for example, Tim Wakefield). Cameron is also on the very short list of players who have hit four home runs in a game. And if I remember correctly, he nearly hit a fifth that game, but came up short on a fly ball. I’ll never forget watching Cameron mash with the Mariners, or chase down gappers in New York. 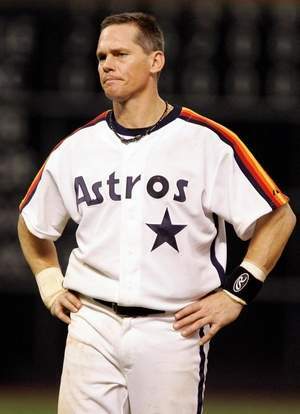 He was one of those rare players who any baseball fan from the 90’s and 2000’s can identify with immediately. And I doubt you’ll find a fan who disliked the guy. I just want to thank Mike for the memories, and for playing baseball the way it’s supposed to be played for all these years. I leave you with one RIDICULOUS stat I came across on Twitter. For his career, Cameron’s WAR (which essentially tallies how many wins a player is worth over an average replacement) was 46.7. Hall-of-Famer Kirby Puckett’s was 44.8. That’s the definition of underrated. That’s the definition of valuable. And that’s the defining legacy Cameron will leave behind for any and all diehard baseball fans: A winner. Retire in peace, Mike. The baseball world will miss you out there. 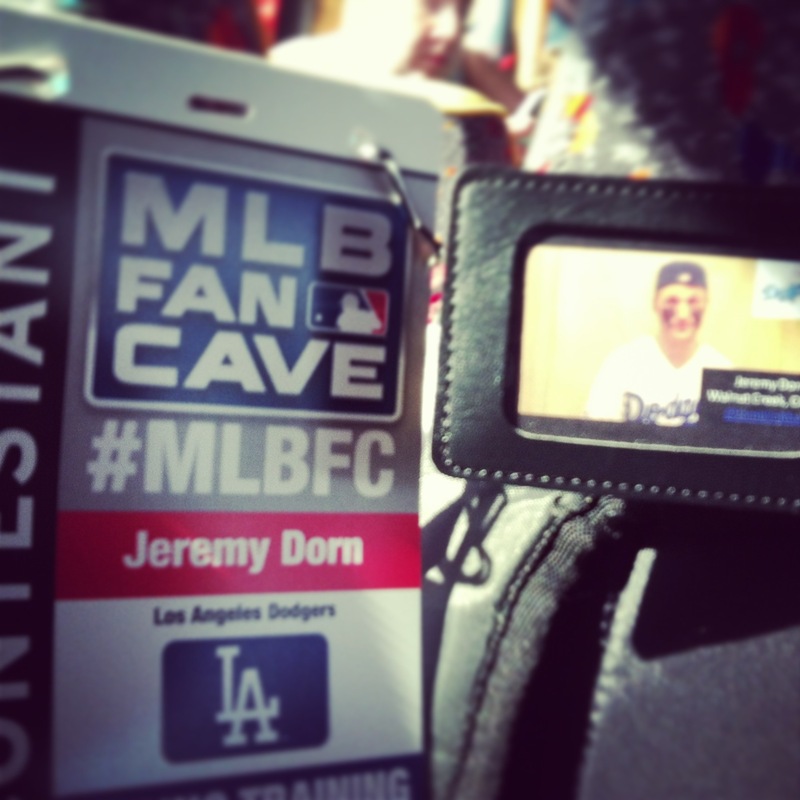 WATCH Jamblinman’s newest promo video for the MLB Fan Cave RIGHT HERE! Follow me on Twitter @Jamblinman, Like my Facebook page at Facebook.com/JamCave and feel free to VOTE as much as possible at: atmlb.com/yU5WYF.